On the classic Greek epic poem, written ca. 750 BCE and translated by our guest Emily Wilson (of the University of Pennsylvania) in 2018. Does this story of ""heroes"" have anything to teach us about ethics? Emily wrote an 80-page introduction to her new translation laying out the issues, including ""hospitality"" as a political tool, the value for status and identity of one's home (including your family and slaves), and the tension between strangeness and familiarity. Can time and change really be undone? Mark, Wes, and Dylan engage our guest about what it is to translate a singable poem from a dead language: Given that there will always be a gap in meaning between the Greek and the English, what sorts of liberties are and aren't called for, to make the thing actually readable and enjoyable for modern audiences? How can translation obscure troubling social issues raised by the text? The primary political unit of the time being described in the story (the twelfth or thirteenth century BCE) in Greece was the oikos, which is the family, but refers really to the whole estate. Odysseus has been gone from home for 20 years as the story begins, having left to join the Trojan war, and there are over 100 suitors vying for his wife Penelope. They do this by staying at his home and feasting constantly, and by thus eating his estate (which should rightly go to his son Telemachus, who was a baby when Odysseus left) they are described as in effect eating Odysseus himself. So the story is in a way about trying to put his oikos back together, and with divine help, he's able to even in his physical appearance eventually reproduce his situation from before his departure. In this way, the text raises the question, "Can you really go home again?" The way that alliances are formed between these estates is through xenia, which is the guest-host relationship, and Odysseus's whole journey (and Telemachus also takes a shorter journey, in an effort to find news of his father) is an exploration of the ways in which xenia can go right or wrong. For example, in the famous episode of Polyphemus the cyclops, Odysseus trespasses with some of his men into the cyclops's home, eats some of his food, and basically demands hospitality of his host, who instead eats some of the men. Odysseus uses this as an excuse to blind, steal from, and humiliate the cyclops, whose father is the sea-god Poseidon. And thus Odysseus's subsequent sea voyages are screwed. So, in what way is Odysseus a hero? You may want to consult our episode on the intellectual virtues according to Aristotle. The text claims that he has deinotes, or cleverness, but he does some pretty dumb things in the text, such as actually yell out his name at the cyclops as they're leaving, and so brings on Poseidon's curse. Many of his lies and disguises are unnecessary, and he certainly doesn't explore different ways of resolving the situation of the suitors living in his house, who might have cleared out had he just confronted them in some way instead of setting forth to kill them all. But hey, they violated xenia! Finally, we address the role of the gods in the story. Are they necessary? Do they just represent the inner urgings of the characters? Doesn't it remove any tension in the story to know that Athena is going to basically fix all of Odysseus's battles for him? We applaud Emily for making this very weird text very readable and fully enjoyable well beyond its obvious educational value as one of the most influential texts in history. Buy the book. If you can't just go read this right now, and don't know the basic story and character names, we suggest you check out a summary, as we pretty much jump right to discussing the themes and don't start by laying out the story. 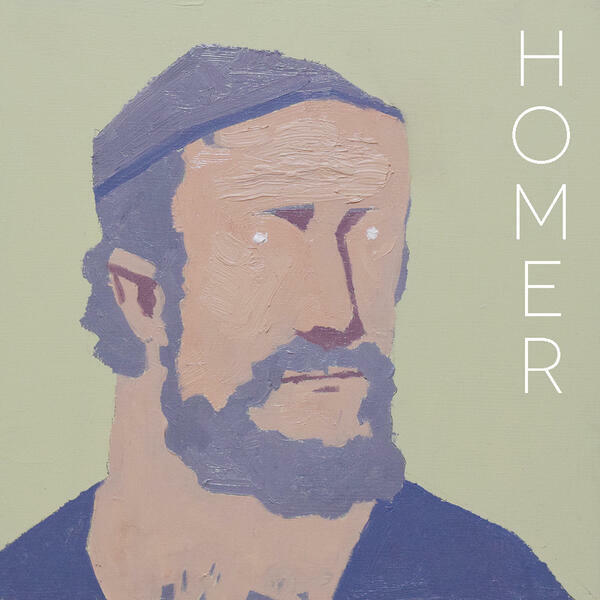 Homer image by Charles Valsechi.